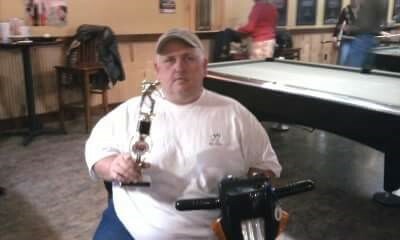 Rodney "Turbo" Grizzle, age 50, of Norcross, GA passed away Sunday, June 10, 2018. He was born and raised in Gainesville, GA where he spent most of his life, and loved to shoot pool. He was a great bundle of joy to all who knew him. Turbo was preceded in death by his brother, Brian Truelove. He is survived by his daughter, Chasity Grizzle; father, Eddie Grizzle; mother, Linda Smith; sister and brother-in-law, Missy and Roger Townsend; girlfriend of 5 years, Tracy Meador; nephew, Nick Grogan; and nieces, Tarren Kies and Emily Grogan. A Memorial Service for Turbo is scheduled for 2:00 PM Saturday, June 16, 2018 at Chestatee Worship Center, 2057 Dawson Forest Rd. Dawsonville, GA.
Hillside Chapel Funeral Home & Cremation Services 1190 McEver Rd. Gainesville, GA is in charge of arrangements.